Eating healthy can get tricky at lunch time during the work week. You can’t bring the healthy protein that is fish…because then you’re the a**hole who brought fish to the office. Sandwiches get boring and all those carbs add up. Sometimes salads don’t keep you full (not to mention satisfied). 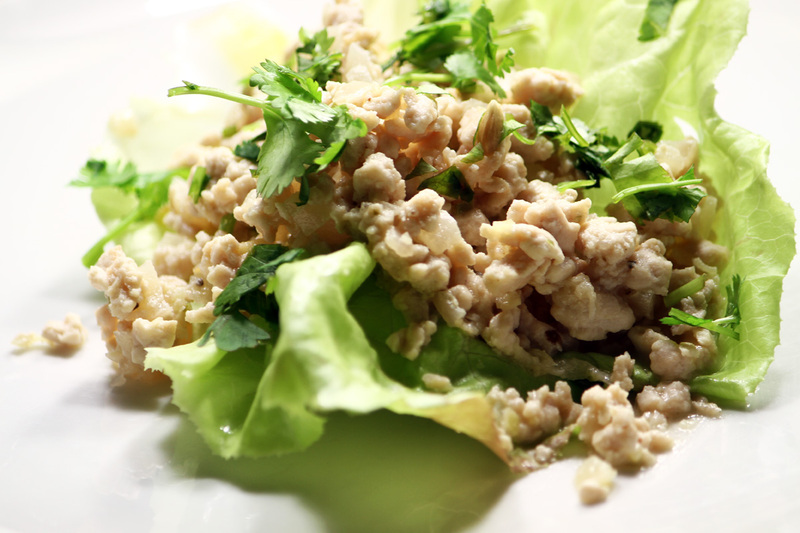 Voila – try this spin on turkey lettuce wraps. You can make a large batch of meat to store in Tupperware to eat over the next few days. You can store said Tupperware at your work fridge so that you don’t have to lug your ingredients to work and avoid looking like a total bag lady. Place a skillet over medium-high heat for 5 minutes. Add EVOO and when the oil starts to simmer add in the ground turkey. Take a spatula and start to break up the meat as it starts to brown. As meat cooks add in the paprika, chili powder, garlic powder, salt and pepper. Continue to brown and break apart until meat is entirely cooked and any juices run clear. Meanwhile…dice tomatoes, onion, cilantro and bell peppers and mix in a large bowl and chill in the fridge for like 10 minutes…or however long it takes for your turkey to finish cooking. Gently peal back the lettuce leaves to create cups and place on plate (or put in Ziploc bags for the work week). 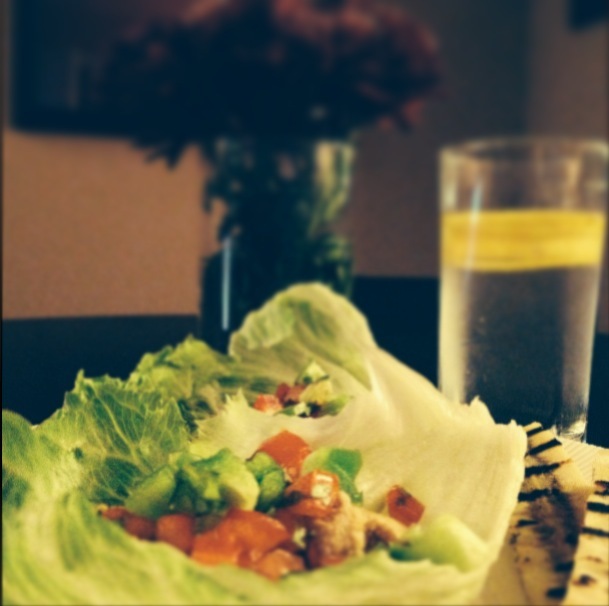 In a large bowl mix together cooked turkey and “salsa” mentioned above and spoon into lettuce cups. For a little something extra I grilled bananas to have on the side (grilled/burned, basically the same thing, whatever!!!). Pour a chilled glass of H2O with a few lemons and you got yourself a meal. OMG! These sound delicious! I can’t wait to make them this weekend! Thanks! Let me know how you like them, Dani! Thanks for reading!